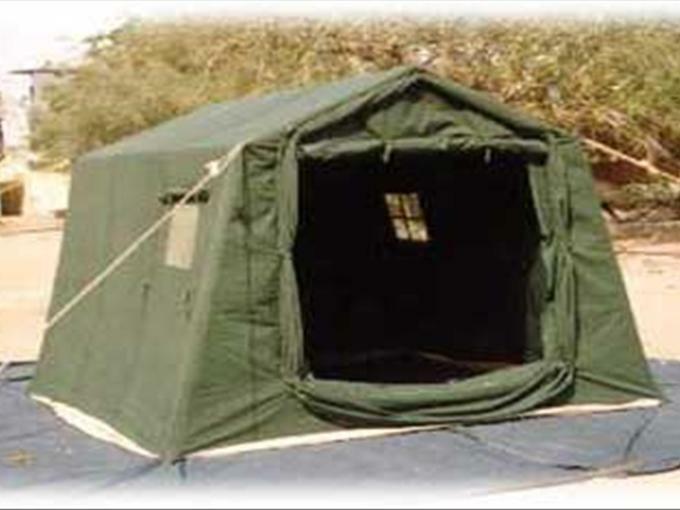 Command Post Tent is one of our most popular Military Tents. Suitable for a variety of uses. Made from Cotton Canvas Waterproof 450 gms per square meter natural white or olive green. Waterproof and rotproof. Complete with metal poles, iron pegs and a carrying bag. Optional inner tent provided with extra inner lining for extreme weather conditions, stove pipe opening in roof optional. Grounsheet to fit tent.